IAFF: N/A. Provincetown is a Volunteer department. The Fire Department continues to be a Call/Volunteer Fire Department with a minimal pay for calls and drills. Lower Cape Ambulance Association; Non Profit corporation that operates transport ambulances for Provincetown and Truro. Established in 1937 to serve Provincetown, Truro, and Wellfleet. First ambulance was donated by Truro Chief Magee, Presently 2 ambulances and 15 personnel. (3) crews of 5 personnel (3 medics and 2 emts). 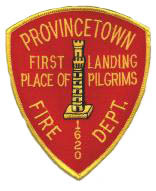 The Provincetown Fire Department was first established in 1836*. The fire department actually formally established May 19, 1859 with a chief and board of engineers. The Provincetown rescue squad was established in 1950s..
(1) Chemical engine, (6) hose reels, (1) hose carriage. No.2 189 Commercial and moved Eng 3 from Johnson Street. 2001 - Fire House No.5 514 Commercial Street renovated. 1889 - J.D.Hilliard No.3 - 1889 Amoskeag Steamer & hose company. Replaced 1854 eng. 1889 - Excelsior No.4 - 1889 Chemical & hose wagon. Replaced 1854 Hunneman. 1950 - Engine 6 - 1950 Willys Jeep & 500 gpm Pump Trailer. Replaced 1930 Eng 2. 1962 - Engine 2 - 1962 Chevy / Maxim 750/500 pumper. replaced 1962 Engine 2. First aerial / quint in Provincetown. 1996 - Crash 198 - 1996 Hummer Crash Truck ARFF for airport emergencies. 1858 summer - 3 large buildings across from the old Massonic Hall / Union House on south side of Commercial street totally destroyed by fire. Massonic Hall barely saved. 1874 March 4 - Large 2 story Adams Hall destroyed by fire during blizzard - engines pulled through 2-4 foot snow drifts. Saved exposures on all sides. 1877 Feb 16 - Town Hall Fire 8:25 pm - Located on hill where Pilgrim Monument is today. 1908 March 14 - Centenary Church spire 165' high struck by lightning at 1:55 am. Fire spread through building and at about 3:00 am the steeple fell nearly killing a dozen firemen. Buildings on both sides were spared by the firefighting efforts. 1949 June 9 - Arnold Inc., Furniture store on Commercial Street, destroyed by major fire 2:30 pm, estimated 1 million gallons pumped. 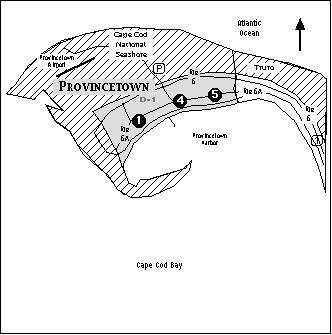 1956 April 30 - The Castle Fire, opposite the Provincetown Inn, Commercial Street. A large Spanish style mansion, destroyed by 4:40 am multi-alarm fire. 1973 Dec 8 - Macara's Wharf hit by 11:26 am fire. 100 foot long 2 story building on wharf destroyed by fire. 1977 March 25 - Fire destroys Provincetown Playhouse on wharf near Crown & Anchor. 1978 Jan 1 - Fire spreads from apartment house to Pied Piper Lounge at 199 Commercial st next to the No.2 Engine house. High winds whipped the fire. 1978 May 31 - Plane crash and fire in dunes near Race Point lighthouse kills 1. 1978 Nov 8 - Historic Atlantic House off Commercial street damaged by fire. 1980 June 15 - Plane crashes in ocean after takeoff from Ptown. 4 killed. 1990 Oct 29 - Pilgrim House, 3 story hotel fully involved on arrival at 11:41 pm. Mutual aid from across the Cape in 4 alarm fire. 7 buildings damaged or destroyed with 14 civilian and firefighters injured. 1991 April 17 - Fire damages Atlantic House again - see 1978. 1993 Aug 4 - Plance crashed into campground, off Bradford Street killing 2. 1996 Nov 14 -One woman killed and dozens evacuated from Maushope elderly housing complex off Harry Kemp Way at 2:30 am 3 alarm fire. 1998 Feb 10 - 6:45 pm - Whaler's Wharf Fire. 5 Alarms with many special calls and extensive mutual aid is one of largest fires in Cape history. 39 departments activated from 2 counties. Large Whalers Wharf complex, Crown & Anchor Inn, Handcrafters, and Marine Specialties buildings destroyed. 2002 March 14 - 3 alarm fire at 280 Commercial street destroys house over commercial occupancy at midnight. 2002 June 8 - Rogue wave struck whale watcher vessel Dolphin VII injuring 22 passengers. The Fire Radio Call Sign...............WXT 893.............."Provincetown Fire"
The Police Dispatch ID...................KCA 371.............."Provincetown Police"
Pickup..............2019 Ford F250 4x4 Pickup. 2. Notify Plymouth County Control to have a Task Force stage at Sagamore if Cape apparatus is lacking. 4. Check on availability of Boston Medflight. 5. Arrange for fuel and food for Provincetown. 1. Form a Cape Task Force to stage in Wellfleet. 2. Request (2) Structural Task Forces from Plymouth County to stage. 3. Plymouth Task Force may be used for local coverage if needed. 4. Send the Cape Task Force if needed after the 5th. 5. 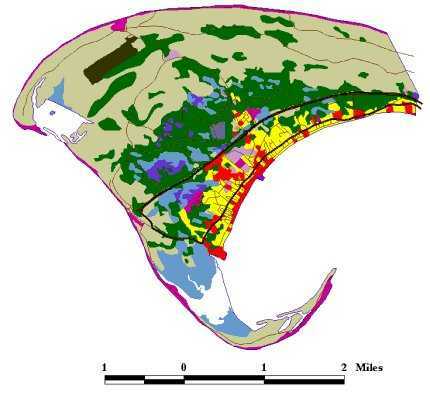 Bring the 1st Plymouth Task Force to Wellfleet. 6. Request State Police Helo to Provincetown for observation. 7. County Plane if available for observation. 8. Move the 2nd Plymouth Task Force into staging vacated by 1st Task Force. 9. Request a 3rd Plymouth Task Force to stage. 1. Cape Task Force to the scene. 2. Additional moves to scene and coverage as deemed necesary.